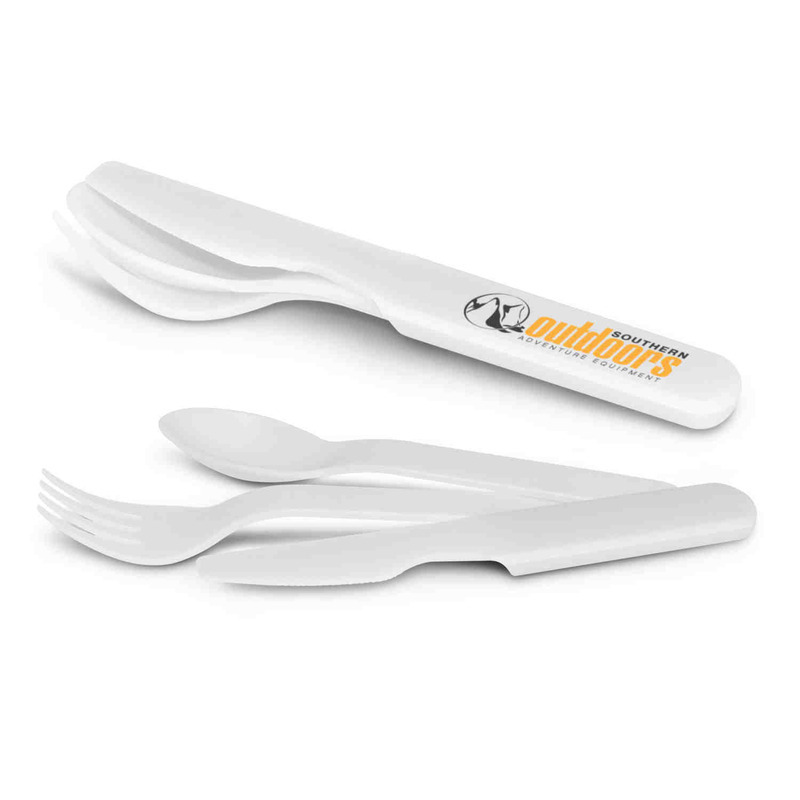 An amazing set of reusable knife, fork and spoon for use during picnics or while travelling. These sets are a space saver and include a reusable knife, fork and spoon all made from food safe plastic. Fits securely together when not in use and are both dishwasher (top rack) and microwave safe. They are a fantastic item to have during picnics or while camping. Direct Digital: Please ask us!